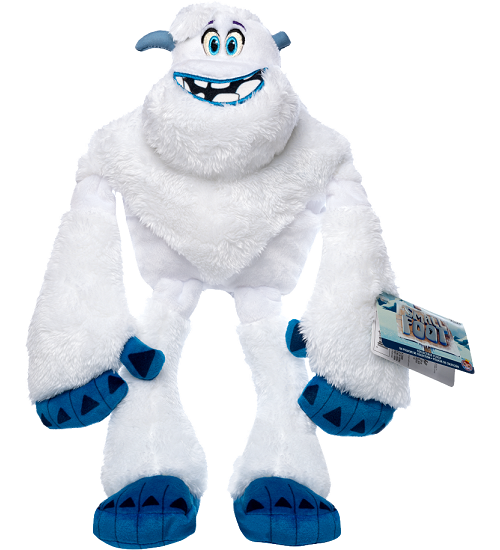 Meet plush yeti Migo, star of the movie Smallfoot released by Warner Bros. Pictures in September 2018. 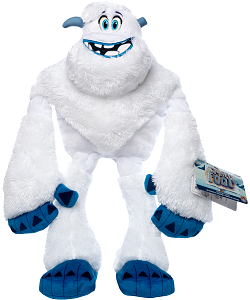 Known for his big heart and honest and true character, this adorable Migo Yeti stuffed animal by Funko has huge blue feet, dusty blue horns and hands, and a happy face with embroidered details (including noble blue eyes) and an endearing smile. With soft white fur and a cuddly body with floppy arms and legs, plush Migo Yeti will inspire hours of imaginative adventure. This silly plush monster has a huggable body of soft green fur and a winsome smile with embroidered teeth. This adorable plush monster has a huggable body of soft red fur, huge smile, and fun felt claws. Maurice is an adorable plush monster with a huggable body, soft turquoise fur, and fun oversized feet.